Sweet corn and spicy corn are nowadays available at all Malls and shopping centers. 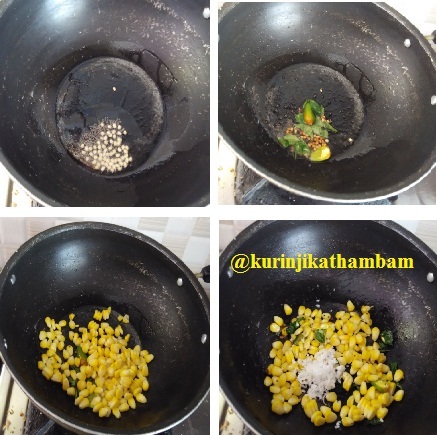 Instead of just sprinkling masala to create spicy corn. Sundal type of corn is a good alternative. You can also eat more corn and will be like by all. 1. Wash and slit the green chilli into two halves. 2. Was the curry leaves and drain the water. 3. Wash the coriander leaves and drain the water completely. Then chop them into fine pieces. 1. Pressure cook the corn kernels with ¼ cup of water for 1 whistle in high flame. 2. Allow it to cool down and remove the lid of the cooker after the pressure has gone. Then strain the water from the corn kernels using the strainer. 3. Heat the oil in a pan, add mustard seeds and wait for popping. Next add the urad dal, curry leaves and green chillies. Sauté them for a minute. 4. Then add the cooked corn kernels and salt. Mix them well. Fry for 2 mins or until it becomes dry. 5. Then add the grated coconut and fry for few seconds. 6. Add the chopped coriander leaves and just give a stir and switch off the flame. After 2 mins, transfer the sundal into serving bowl. 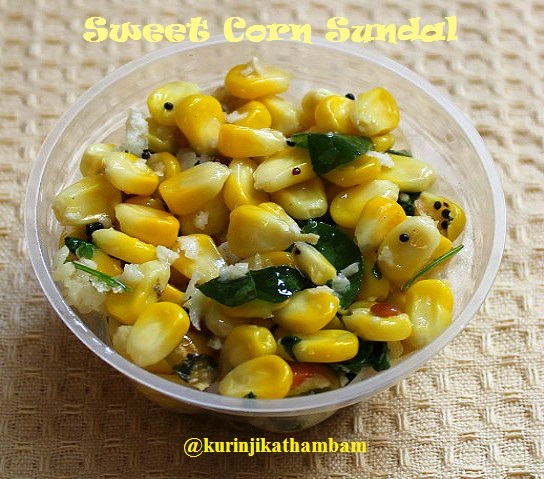 Healthy and tasty Corn sundal is ready. 1. 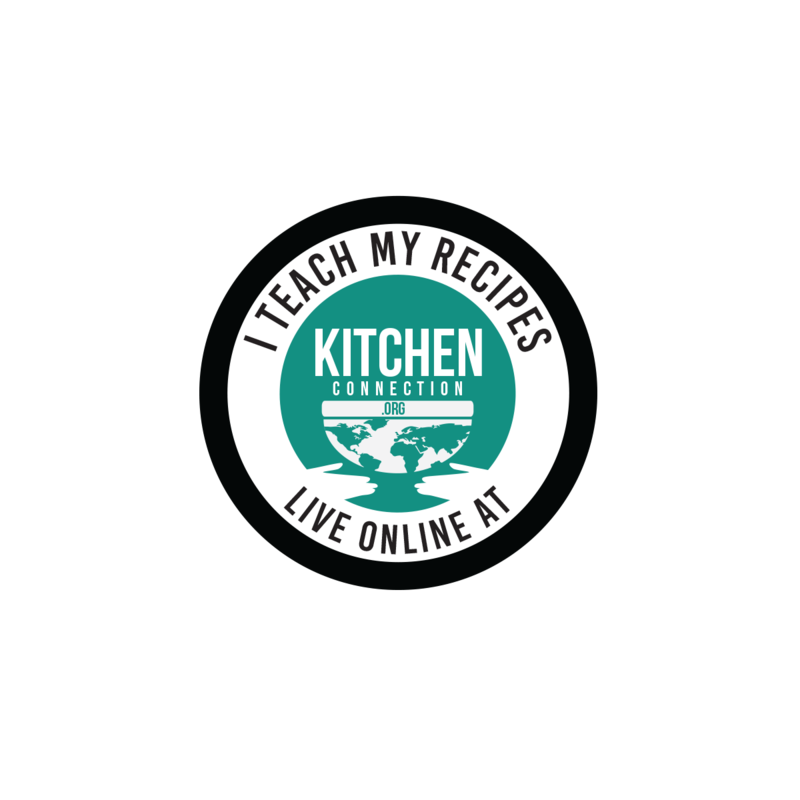 Use whole corn instead of corn kernels. But cook the corn for 1 whistle and then remove the kernels from it. Otherwise remove the kernels first and then cook.